From The Classic To The Bizarre! Diabolical. Seductive. Immortal. Vampires have been an icon of evil in folklore and popular culture for more than three centuries, yet only one name still personifies the ultimate aristocrat of bloodlust. Now join the world’s foremost experts on Dracula – including academics, authors and horror historians – as they explore the untold story of the Transylvanian Count, from the legend of Vlad The Impaler and Bram Stoker’s celebrated novel through its landmark stage productions and classic movie adaptations. 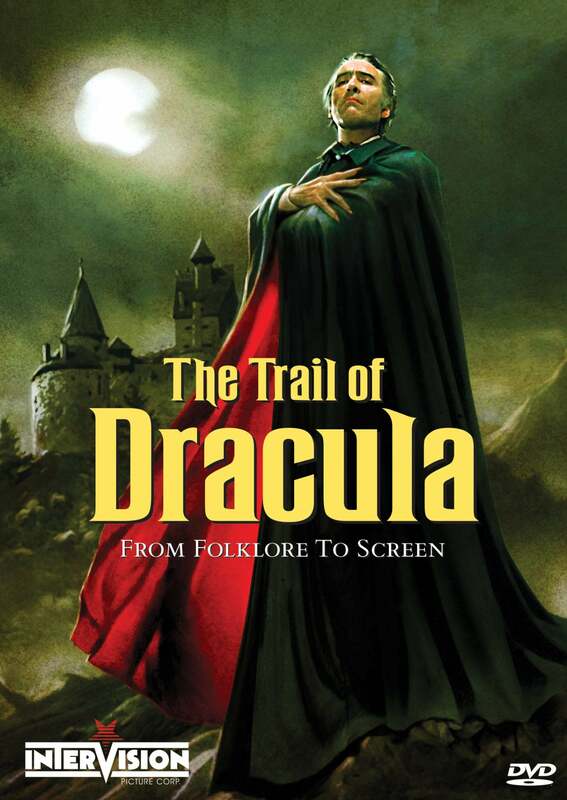 It’s a crimson trail of twisted archival materials, startling film clips and rare interviews – featuring Bela Lugosi, John Carradine and Christopher Lee – plus Bonus Materials that include additional interviews with Udo Kier and Werner Herzog, over 90 minutes of Dracula movie trailers, and more! Posted in Catalogue and tagged 2016, Christopher Lee, Count Dracula, Documentaries, Documentary, Dracula, Jess Franco, The Trail of Dracula.